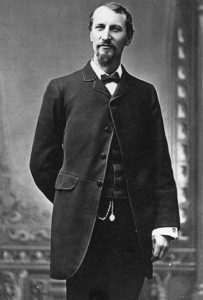 In 1876, Fred Harvey (pictured above) struck a deal with the Atchison, Topeka and Santa Fe Railroad company, allowing him to establish eating houses along the railroad lines. They were known as “Harvey Houses” and wealthy and middle-class Anglo tourists would stop for food and rest as they traveled through the “Wild West.” Harvey passed in 1901, but his sons continued in their fathers foot steps. Once the automobile became a more common form of transportation, there became a considerable decline in the amount of train passengers. To adjust, the Harvey Company developed new attractions to drum up business. They began to market the lifestyle of the Native Americans of the Southwest by staging “Indian Detours” or scenes of Native American living in the desert. Indian arts and crafts were sold and the birth of “Fred Harvey Jewelry” was born. More lightweight than traditional Native American silverwork, the jewelry was easier to wear for the Anglo tourists. It is also marked by a fair amount of ornamentation/stamping. 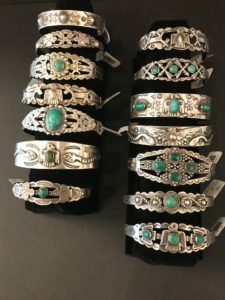 The biggest change from earlier native jewelry (Pre 1900) was it became mass produced with the help of specialized machinery and commercial sheet silver. 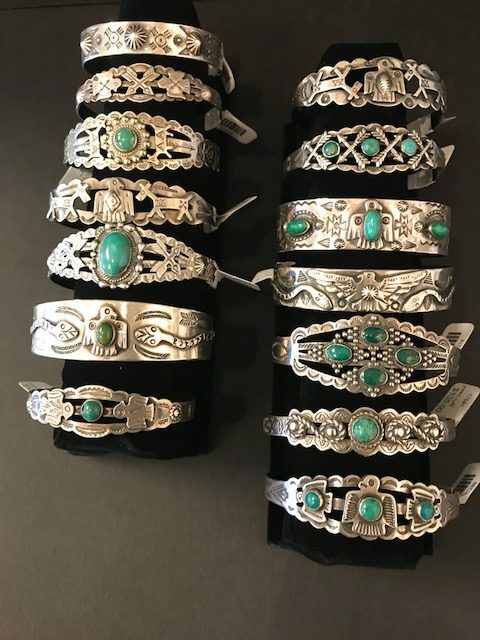 Take a step back in time and visit our Fred Harvey collection of bracelets, earrings and rings. American Trails is pleased to announce that Native American flautist Gary Burroughs will be back performing with us for First Friday Artwalk June 2nd from 5-8pm. We, as always, will be serving refreshments so come on by.